Smaller displays enable you to deliver content to individual customers for a more up-close and personalized experience. PSP18001S is specifically designed to do this and is compatible with TEGO and Slatwall shelving systems. 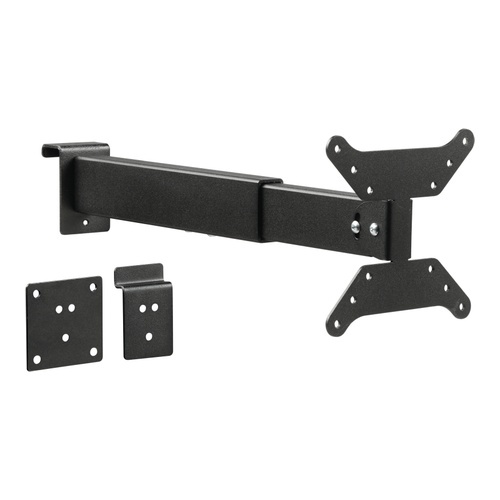 Thanks to the telescopic arm the display mount can be mounted on different shelf depths. The mount features room for a Power- or Ether cable (CAD). Smaller displays enable you to deliver content to individual customers for a more up-close and personalized experience. PSP18001S is specifically designed to do this and is compatible with TEGO and Slatwall shelving systems.